In 1980, Dan Fredrickson finished his stint in the U.S. Army and was attending college at Northern Arizona University in Flagstaff, Arizona. Mountain biking was in its infancy, and Fredrickson, with limited experience, set out to manufacture mountain bike frame sets. Ruffstuff was in the first wave of the mountain bike craze that would sweep across the country. “We hand-built 17 Fillet Brazed framesets over 2 years. I was still a student, so I was essentially starving. I closed Ruffstuff after 2 years and within the following 2 years, the Stumpjumper Mountain Bike came out and that was all she wrote!” said Fredrickson. Fredrickson shelved his taste for manufacturing and headed down two paths as far away from manufacturing as you can get. The sense of adventure he experienced as a Grand Canyon river guide for eleven years may have planted a seed that would ultimately lead him back to manufacturing, but it is hard not to see the business experience he gained spending fourteen years as a stockbroker. In 2005, Fredrickson purchased a 1973 Toyota Landcruiser to explore the backcountry. While trying to find specialized parts for modifications he wanted to make to the vehicle he recalls “They simply were not made to the standards I desired and the customer service was pitiful. Companies acted as if they were doing me a favor by overcharging me for things I could do better, so I resurrected Ruffstuff Specialties.” At this point, Fredrickson was working in a single car apartment garage and sharing it with his Landcruiser and a 12’ Whitewater Dory boat. His tools were pretty basic only using a drill press, cutting torch, cut-off wheels and a 180 Lincoln MIG welder. When Ruffstuff Specialties started building 4X4 fabrication parts they were a wholesale only shop serving about forty 4-wheel drive shops within 100 miles of Sacramento, California. Ruffstuff Specialties developed their product line directly from the input of those small shops. This way they were able to manufacture only items they knew worked well and would sell quickly. Ruffstuff put a lot of weight behind testing long before they ever opened their retail location. Fredrickson was fairly satisfied with a part-time wholesale only business, but at the request of their retail partners they developed a retail sales model to compliment their wholesale market. The idea was to build a “Do It Yourself” brand name that would help the shops that were using our fabricated builder parts in the completion of custom vehicles they were producing. That ultimately expanded into a massive do it yourself market for garage mechanics. Still very limited for equipment, Dan chose to work on the design side of things and had his entire cutting and bending needs satisfied by big job shops who were hurting pretty bad through the Great Recession. Ruffstuff Specialties concentrated their efforts on the welding and finish work required. This has proven to be a viable partnership and Fredrickson believes his economic plan will work until Ruffstuff hits $7M in annual gross sales. As Ruffstuff has grown, they have taken great pains to stay true to their origins, and never settled for just "strong enough". New ideas are the backbone of Ruffstuff Specialties and are used in market strategy. Fredrickson has a strong opinion when it comes to R&D, “We have never been afraid to try new ideas, and we have never rushed an untested item to market. We do not use our customer’s money (pre-orders) to fund our R&D projects; how often that happens in our industry simply amazes me.” With this in mind, Fredrickson capitalizes on the right tooling for the right job. Today their tooling has expanded by a couple of mills, a large diameter throat lathe, two Lincoln TIG machines, seven Lincoln MIGs, two Lincoln Plasma’s and a 2x4 Torchmate CNC Plasma table. They have concentrated on the prototyping and finish machinery because those are their priorities. 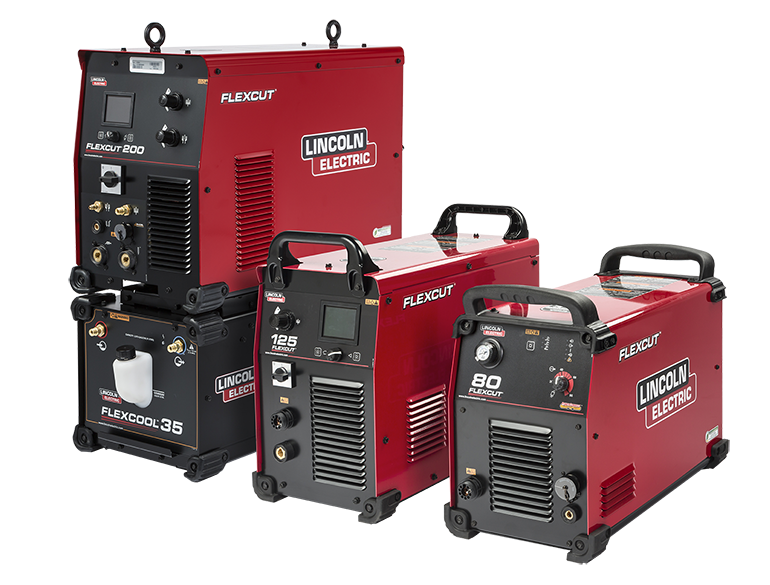 They are now up to fourteen employees with six fulltime welders. Subcontracted laser cutting makes up the bulk of Ruffstuff’s heavy lifting when it comes to cutting the various parts Ruffstuff manufacturers. However, for researching, developing, and testing a new product Ruffstuff utilizes a more efficient product. “We lean on our Torchmate Growth Series to bring an idea to fruition,” Fredrickson shared. With the use of this tool, Ruffstuff can take an idea and apply it to testing within hours. “There have been many times we have found a solution to a problem, whipped something up in SolidWorks, walked over to our Torchmate, and cut out a part without ever disrupting our production run or waiting for a contractor to cut out a prototype,” said Garrett Kittredge, General Manager of Ruffstuff Specialties. 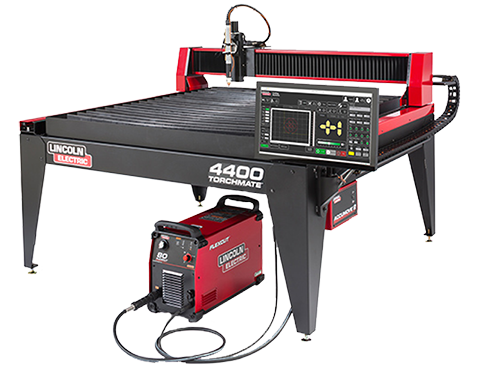 CNC Plasma has come a long way in recent years with the addition of High Density Cutting technology. There is a portion of the items Ruffstuff can cut in smaller production runs with the CNC Plasma Table, but the table primarily serves the Research and Development team. An example can be found in the release of a replacement axle housing for the popular Jeep Wrangler JK. Ruffstuff Specialties has made a name for itself in the highly competitive aftermarket steel axle housing market by producing extremely strong axle housings. Ruffstuff tested the axles on a selection of off road racecars participating in some of the most difficult races in the Western United States and Mexico. When demand for an axle upgrade for the Jeep Wrangler presented itself, Ruffstuff moved quickly to beat its competitors to market. “We are members of the Specialty Equipment Market Association (SEMA) which has a database of digital models for all new vehicles coming to market,” explained Fredrickson. This data allowed Ruffstuff Engineers the ability to download a working model of the Jeep Wrangler JK and insert their pretested axle housing. Creation of the pivot and mounting points were quickly inserted into the design. The engineer then walked over to the Torchmate and cut prototypes on the spot. Within hours, Ruffstuff had a working prototype to test, and within days they were able to take the bolt in replacement axle to beta and market testing. “We could not move this quickly if we needed to wait for the laser,” said Kittredge. As this interview was conducted Ruffstuff was in the process of moving to a facility that is double their present size. Like Fredrickson’s past growth pattern, when opportunity presents itself, Ruffstuff positions itself to move quickly. 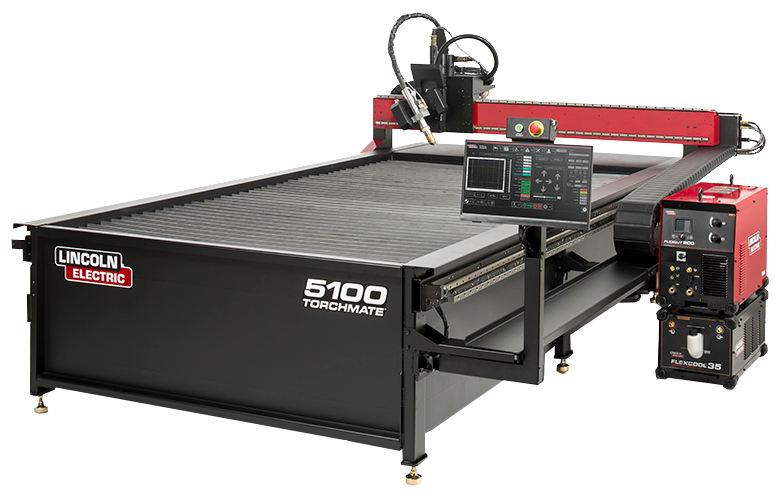 Ruffstuff continues to explore value engineering in its product line and points to their experience with the plasma-cutting table as an example. “We look past the noise of manufacturing our items like everyone else. If I can save money by exploring new processes, I will. We just try and balance the way it has always been done with what the future will bring. Investing in a laser would be a big step for us, so I would consider what percentage of our cutting could be done via plasma vs. laser and likely look into a larger multi-tool CNC Plasma table with high density before I took the leap toward owning our own laser.” It seems this far partnerships have served Ruffstuff well.